Here at LifeBalance, we love when we get the chance to visit our clients in Anchorage, AK. If you haven’t been, this stunning destination is certainly worth a visit! We asked our contacts at one of the city’s oldest and most charming hotels, the Historic Anchorage Hotel, for some insider tips on visiting Anchorage. Q: If someone were visiting from out of town, what are the top sights you’d recommend seeing? A: We highly recommend the coastal trail, Anchorage Museum, and the Alaska Performing Arts Center for those without transportation. For those with access to a car, we recommend Potter’s Marsh. Q: For our members travelling with their kiddos, what are the best kid-friendly activities in Anchorage? A: Best kid-friendly activities in Anchorage are the Alaska Zoo, the Imaginarium Science Discovery Center located in the Anchorage Museum, and Get Air – a trampolining center. Q: What are your favorite spots for hiking or enjoying the outdoors? A: Our favorite spots for hiking are Flattop, Kincaid, and the coastal trail which has many parks along it such as Elderberry Park, Westchester Lagoon, Lynn Ary Park, and Earthquake Park. Q: When we think Alaska, we think of some of the world’s best seafood! What are your favorite spots for trying local cuisine? A: We have many excellent restaurants in the heart of downtown such as the Glacier Brewhouse and Simon & Seafort’s. Both serve great seafood. Q: We hear summer is a great time to visit Anchorage, but we also hear that it can be busier and more expensive during that peak season. When do you think the best times of year to visit Anchorage are? A: Summer is one of the busier and more expensive times, however there are more activities and tours going on that do not happen in winter. At the end of February and the beginning of March, we have the Fur Rondy fair and Iditarod festivities. Things may be cheaper in the winter, but it could also be harder finding rooms during these events. Q: Anchorage has a rich history. What are some of the top ways visitors can learn about the region’s history, culture, and heritage? Q: Lastly, our staff loves staying at the Historic Anchorage Hotel! Can you tell our readers a little more about your hotel and the history behind it? 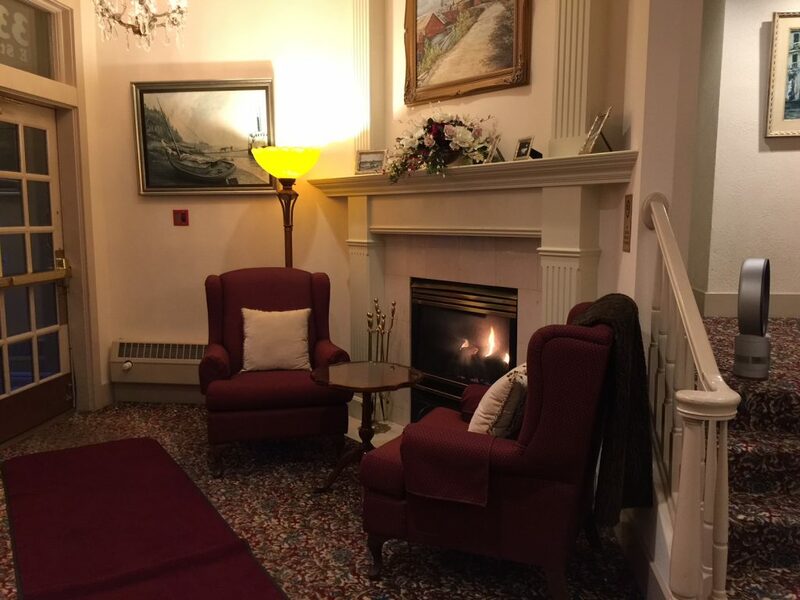 A: The Historic Anchorage Hotel was built in 1916 and it was renovated in between the 30’s-40’s.The Anchorage Hotel was the premier place to stay. Will Rogers and Wiley Post stayed with us just two days before their fateful flight to Barrow. Before it became a hotel it used to be a building of apartments. Stories of ghostly happenings have been circulating at the hotel for many years, and are considered to be related to the death of Anchorage’s first Chief of Police, Jack Sturgus. On February 20, 1921 at 9:15 p.m., Police Chief John J. “Black Jack” Sturgus was found shot in the back with a bullet from his own gun, steps away from The Historic Anchorage Hotel. And if you visit Anchorage, be sure to peruse the LifeBalance website before you go! We’ve got deals on lodging, sightseeing, fishing, transportation, attractions, and more!